From rainbow breath to incredible weight gain via donuts. 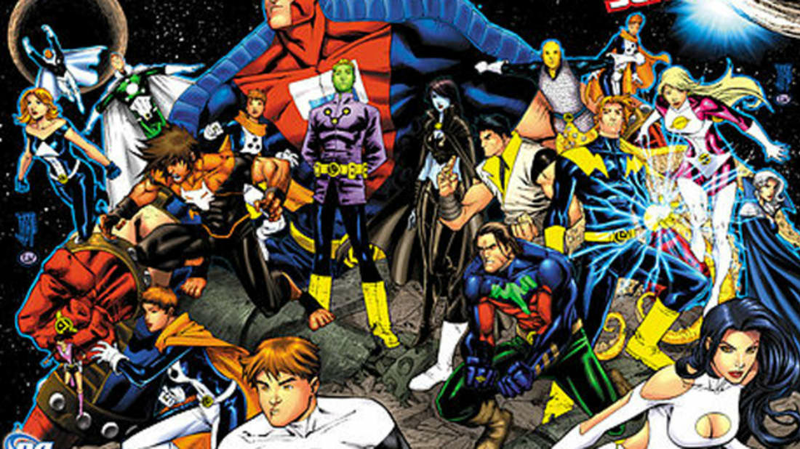 If you're desperate for heroes with mediocre superpowers, look no further than the Legion of Super-Heroes, the 30th-century superhero squad that started out in 1958. Packed with uninspiring members, the legion featured the likes of Bouncing Boy (who could bounce around like a ball), Chlorophyll Kid (who could make plants grow faster) and Dream Girl (who could tell the future through dreams). But the strangest of all was Matter-Eater Lad, who just ate things. Matter-Eater Lad's finest moment was stopping an indestructible machine from destroying the universe by eating it. The storylines were that good. In 1993, DC Comics decided that the character was too silly for the newer, grittier style of comics, and he was rewritten as the Legion's personal chef, who didn't really get involved in the combat. 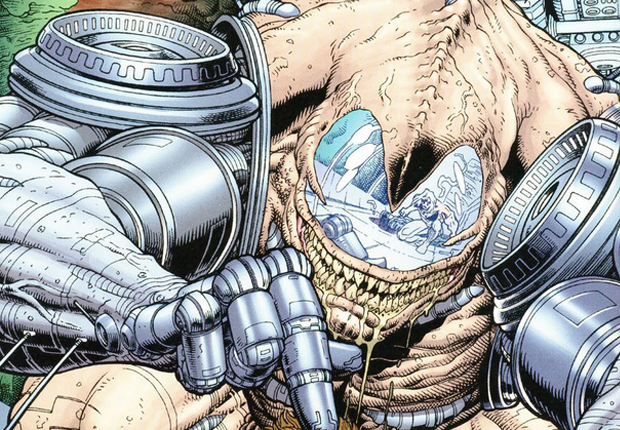 Ten-Eyed Man was a Batman villain with, uh, ten eyes. He was blinded in an accident, but had a sinister doctor attach optic nerves to his fingers. When imprisoned, the police put his hands in a box so he couldn't see. This was very effective in preventing his escape. This super-villain concept was revived with the second Ten-Eyed Man, but he was eventually felled when Batman poured hot oil on his hands, which blinded him. If Black Bolt told a joke, he'd bring the house down. Of course, if he said anything at all, he'd bring the house down. 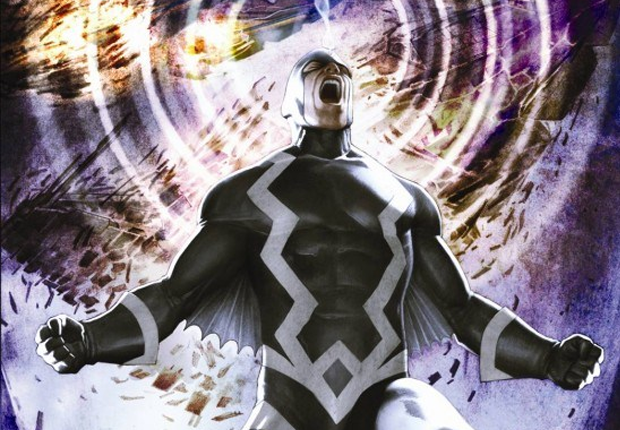 As King of the Inhumans, a mysterious super race based on the moon, Black Bolt packs a great set of lungs. So great, in fact, that he causes utter destruction with his "quasi-sonic" scream, even with the faintest whisper. As a result, the soft-spoken superhero usually keeps quiet, speaking only when he needs to destroy things. While it might seem like an inconvenient power, old Bolty doesn't seem to mind. When he isn't occupied with superheroics, he quietly rules his kingdom with his wife, Medusa, who no doubt can't believe her luck: a husband who won't talk back! The books have yet to reveal what happens when he gets the hiccups. Since the 1940s, there have been no less than seven superheroes called Captain Marvel. But the strangest might be the one briefly published by M.F. Publications in 1966. As a robotic superhero, Captain Marvel could will his body parts in different directions, just by yelling the command: "Split!" This allowed him to fight numerous villains in various locations all at once. His feet would separate and karate kick evil-doers, while his left and right hands would be jabbing and punching in different parts of the room. Presumably, he could also use his torso to hip-check villains, Black Knight-style. It was never really made clear how any villain worth their salt could be overcome by a disembodied finger or foot—and since the comic hasn't been published for over 40 years, we'll probably never know. Although robot Captain Marvel is the least famous of the Captains Marvels, he hasn't been forgotten. Some readers view the books as camp classics. Admittedly, I have no idea what this does, but according to the text—when used with other powers like "X-ray strength", "speed-squared" and "shame-vision"—it's "enough to topple most 21st century Western economies. " Maybe, but the Lucky Charmed halitosis still sounds pretty dumb. Rainbow breath is just one of the 1,204 super-powers (including "nuclear poop-vision" and "larynx-freezing vision") that belong to Seth, a monstrous, genetically-engineered hillbilly who fights the influential superhero team The Authority (published by Wildstorm Productions) in 2002. So, how do you take down a force like Seth? The Authority finally beat him by finding his failsafe mechanism and transforming him into seven chickens (yes, seven chickens), all of which were then eaten by his own family. A forgotten character from the Golden Age of comic books, Mister Midnite first appeared in Silver Streak Comics in 1939. While many writers were dreaming up cool powers for new superheroes to cash in on the success of Superman, the brains at little-known Comic House Publishers came up with Mister Midnite (alias "wealthy young sportsman" Neal Carruthers), who possessed a unique power. When he called out "Stop, time! " he could stop time? Well, not exactly. He could only stop clocks. He only lasted two issues, perhaps because his publisher realized that there was only so much you can do with that power. Fortunately, he never had to battle Uri Geller. In 1966, DC Comics came up with Dial H for Hero, which was about a teenager named Robby Reed who finds a special dial. When he dials H-E-R-O, it transforms him into a superhero—a different one each time. In 1981, the concept was revisited, when two teenagers accidentally found these dials in a haunted house and were magically transformed into adult superheroes. The cleverest part of this idea is that the heroes were invented by the readers themselves. The readers weren't paid any royalties (though they were sent a nifty Dial H for Hero t-shirt), but as the heroes never appeared more than once, they didn't miss out on much. A pity, as it would have been great to see the further adventures of Balloon Boy, Blazerina, Raggedy Doll and Fuzz Ball (who can bounce around stomping on villains), Lavender Sky-Writer, or the Mighty Moppet (whose baby bottle squirts a liquid to shrink his enemies down to his size). But of the hundreds of dialed-up heroes, few were cooler than the Yankee Doodle Kid, whose super-patriotic powers would leave Captain America to shame. The Kid, one of Robby Reed's heroes from 1966, was a one-man Fourth of July machine, generating fireworks from his eyes, cherry bomb missiles and picture-display illusions from his fingers. Great for defending America against criminals, then celebrating afterwards. 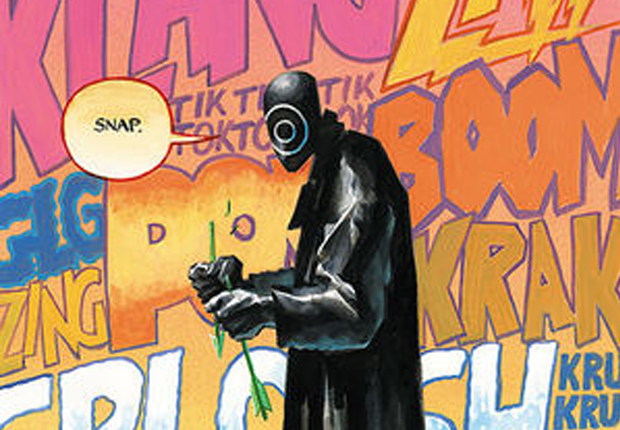 Green Arrow and Batman villain Onomatopoeia has the ability to replicate any sound heard around him. He's essentially a tape recorder, but without the charm. Some highlights of Onomatopoeia's powers include sounding like a gun, the snapping of a belt buckle, or the dripping of a faucet. 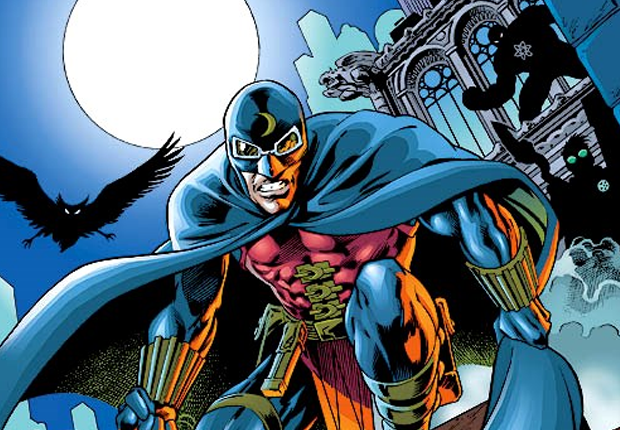 Doctor Mid-Nite can see in perfect darkness—Which is cool! 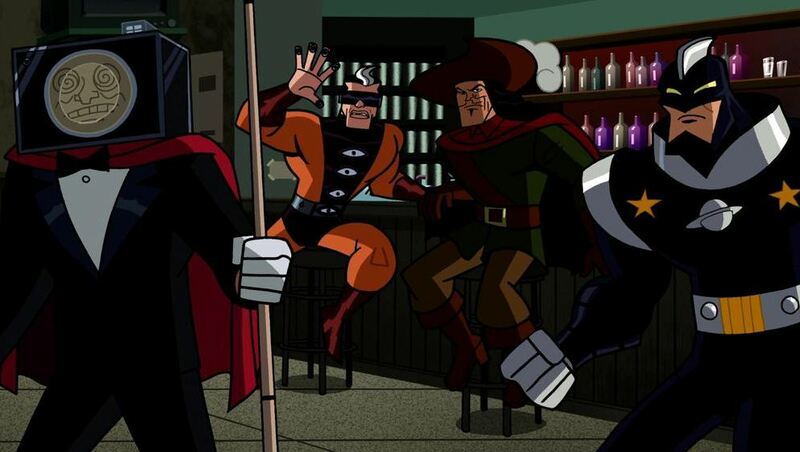 Doctor Mid-Nite cannot see anything if there's even the slightest bit of light—Which is not cool. He has to wear special goggles to see in the light, and this accessory is a natural target for enemies who want to gain the upper hand on the poor Doctor. Spider-Man, Batman, Wolverine—some of the coolest superheroes have the abilities of the toughest or most fearsome animals. In 1992, Marvel Comics introduced high-school student Doreen Green, a mutant with the abilities of squirrels. 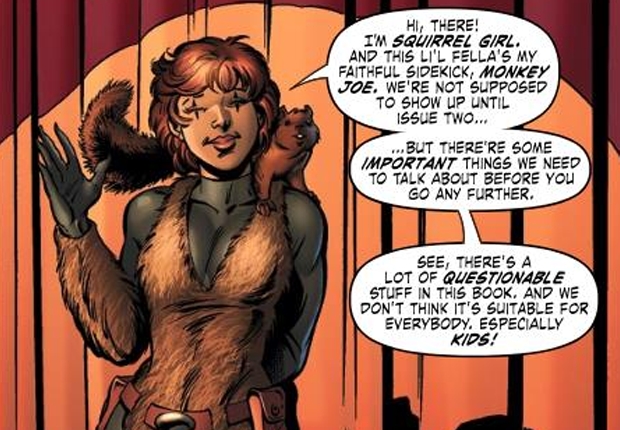 Though this is cooler than it might sound, as Squirrel Girl (what else?) has a semi-prehensile tail, a retractable knuckle spike, enlarged incisors, super-strength and an empathic bond with squirrels. Oh, and she's cute. With her powers, she has singlehandedly defeated Doctor Doom (the villain, not the Echo's brother), and is a valuable member of a team called the Great Lakes Champions. Still, a prehensile tail isn't quite as awesome as spiderwebs.